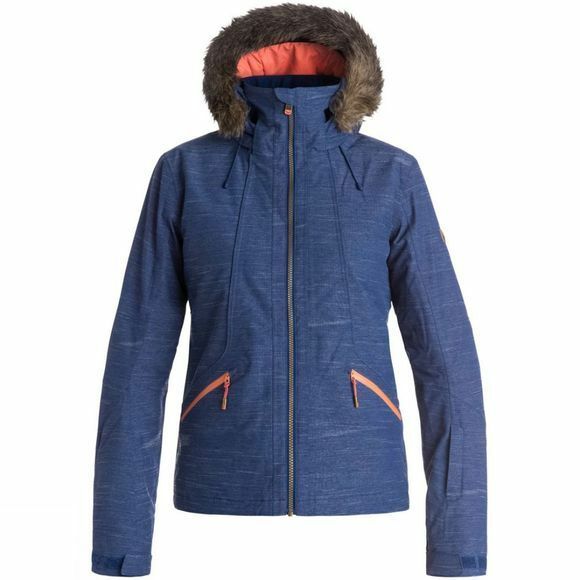 Fully waterproof and utilising Thinsulate insulation to keep you warm the Women's Atmosphere Jacket from Roxy is a sensible and stylish addition to your ski wardrobe. 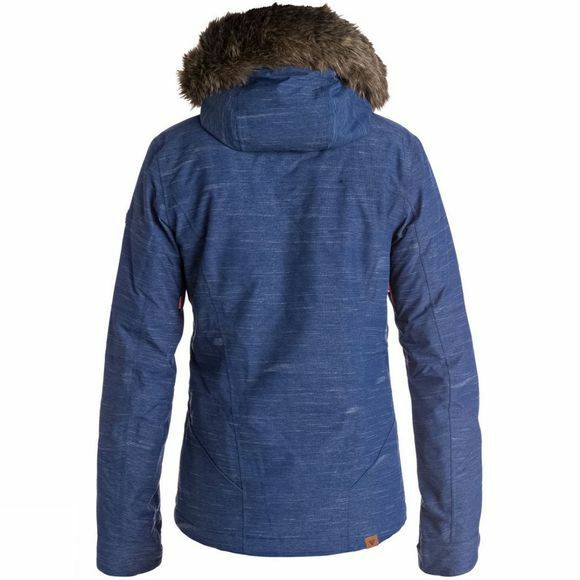 Perfect for blustery days on the hill but versatile enough to be worn in mild conditions thanks to the removable hood and able to accomodate all your media needs with an inside pocket. There is also a pocket inside for stashing your goggles complete with a lens cleaner so you can always have a crystal clear view while the zipped pocket on the wrist is perfectly positioned for a ski pass and the two hand pockets are great for stashing gloves or warming chilly fingers while enjoying the views from the chairlift. The inner comfort cuffs and powder skirt help to seal in warmth but are also perfect for keeping fresh powder on the outside of the jacket to ensure you stay warm and dry throughout the day.